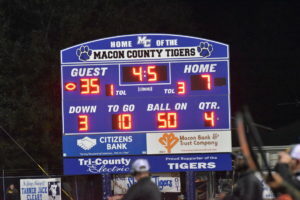 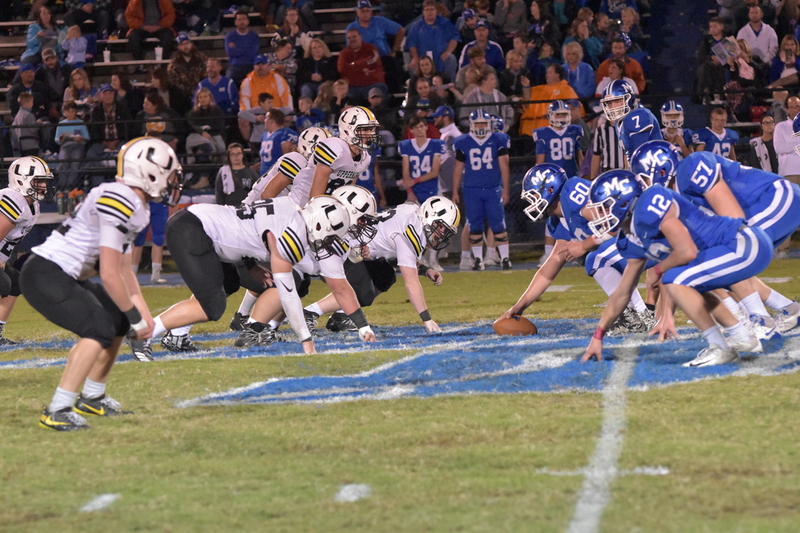 The Bees continue their string of nine wins this season with a convincing 35-7 win over Macon County. 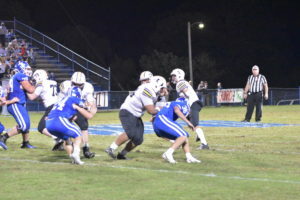 The outstanding team effort they display each week shows the team is only getting better. 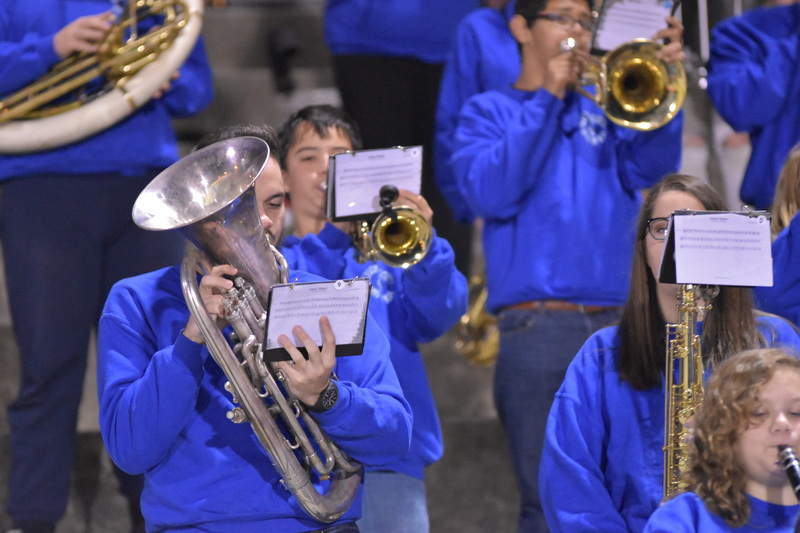 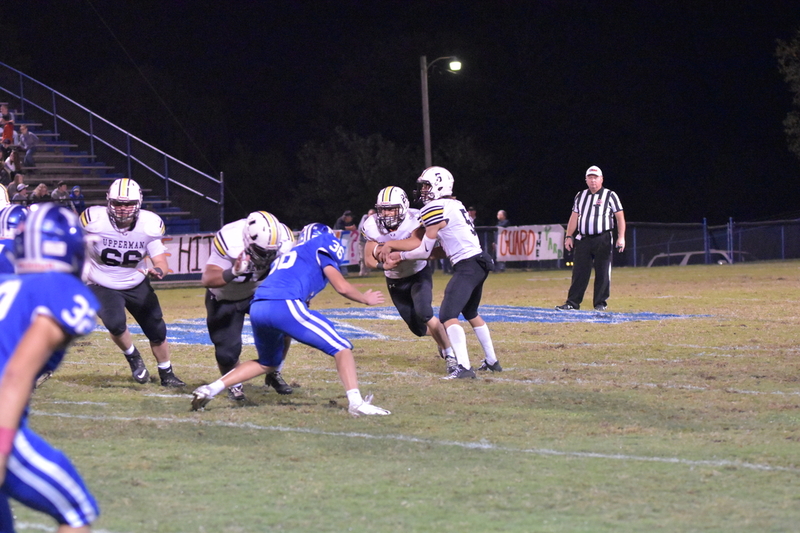 The offense did not disappoint tacking on 35 points using a dominating ground game as they racked up 336 yards. 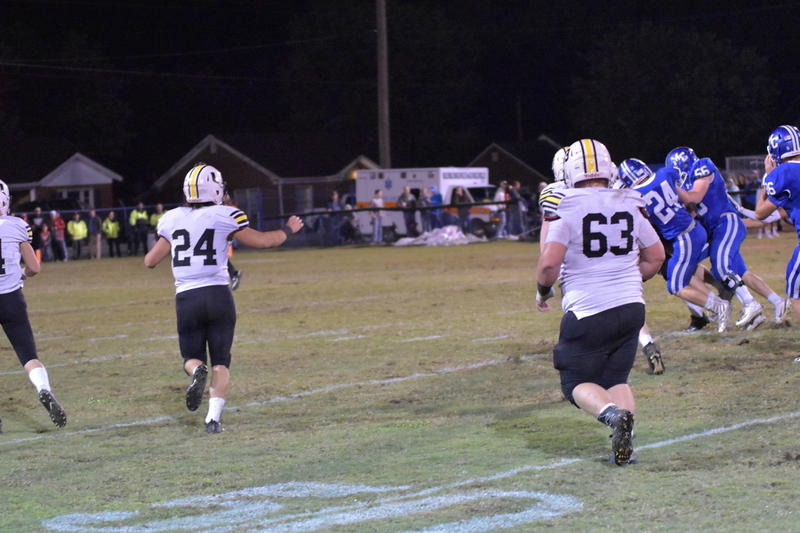 The M&M duo once again provided the major part of the yardage. 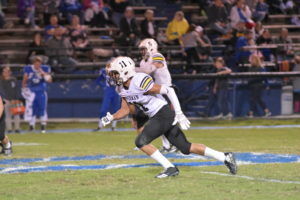 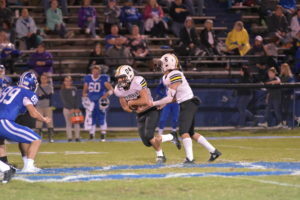 Blake Metzgar pounded out 151 yards on 14 carries with Donavan McCallister picking up 121 yards on 10 carries. 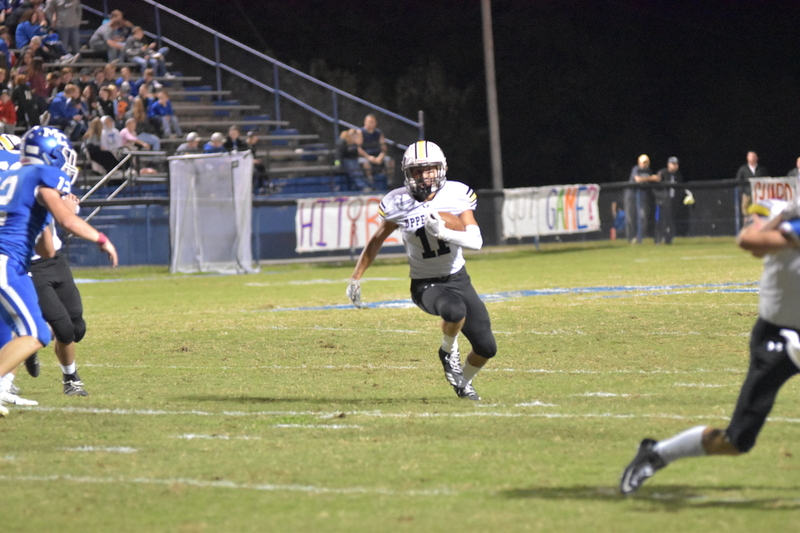 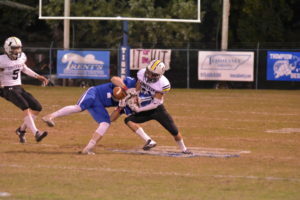 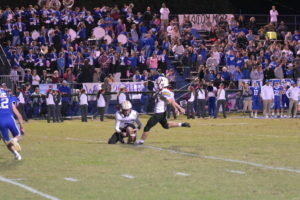 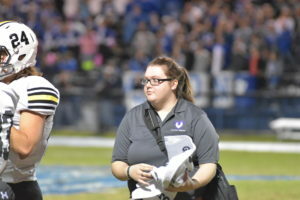 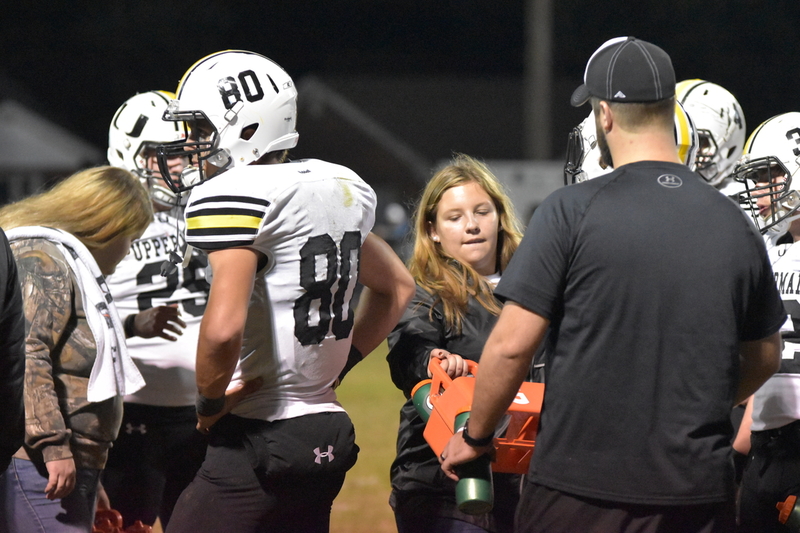 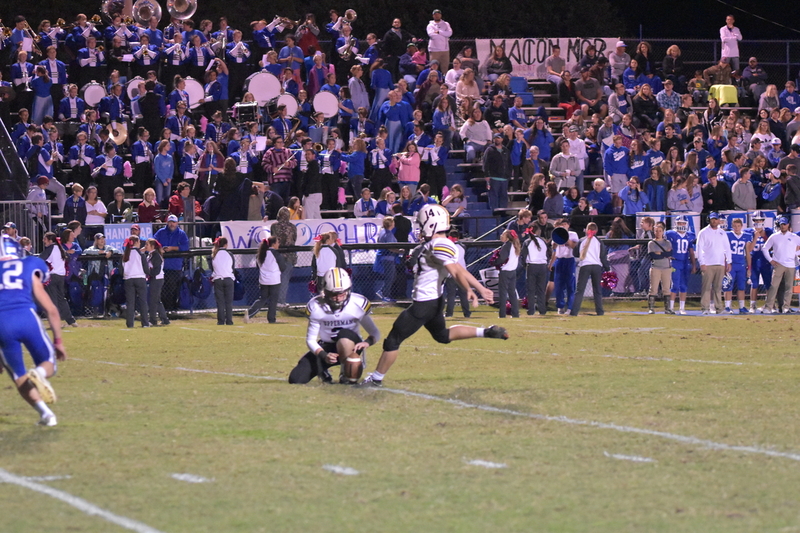 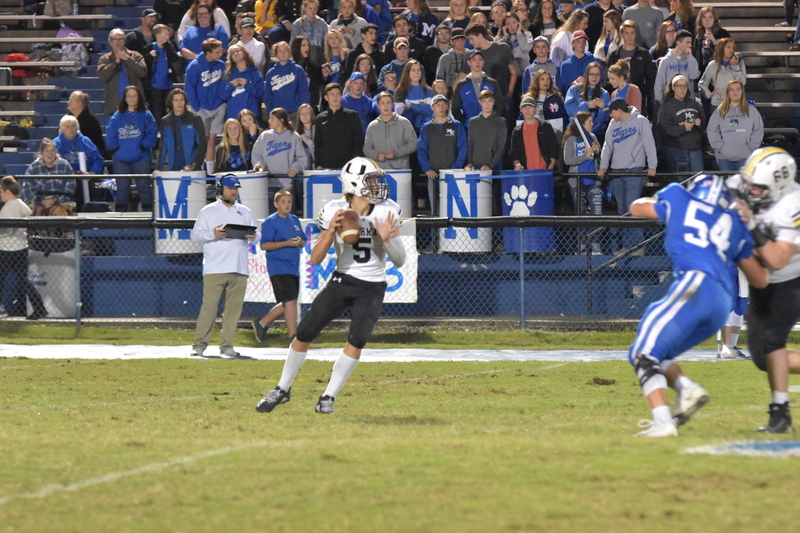 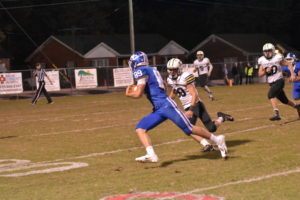 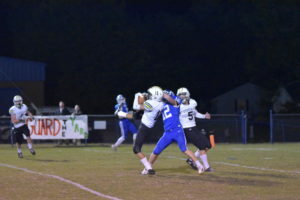 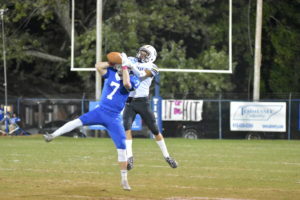 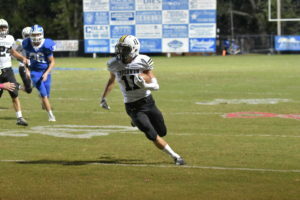 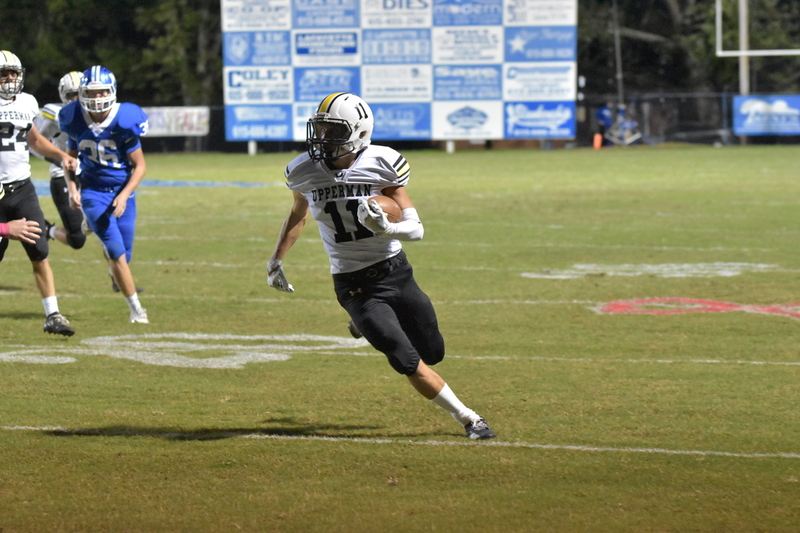 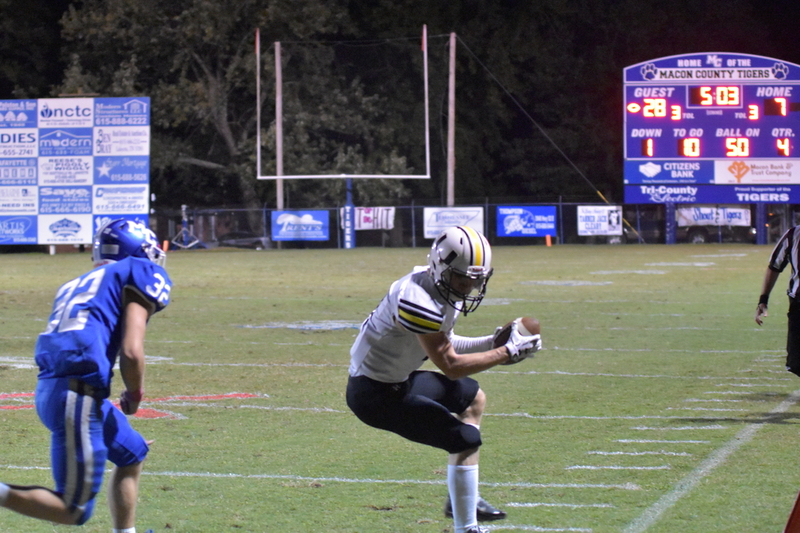 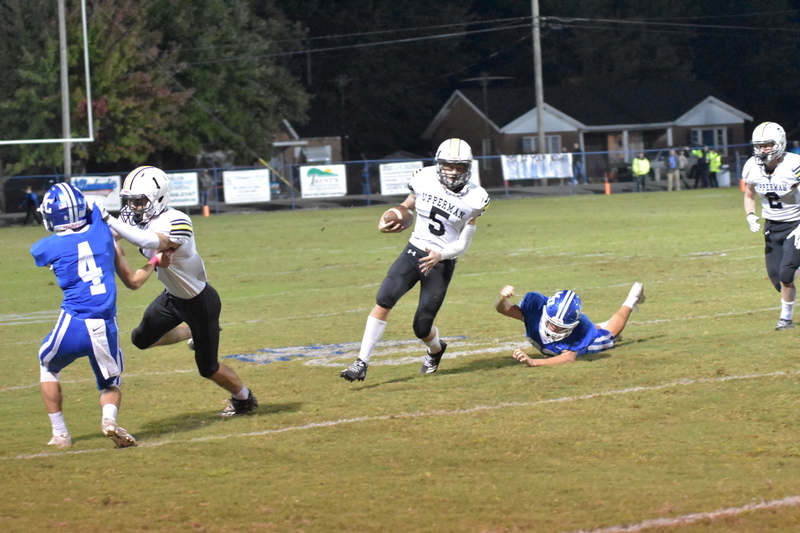 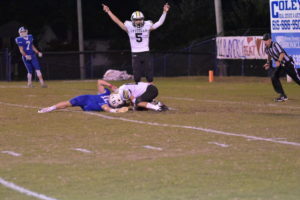 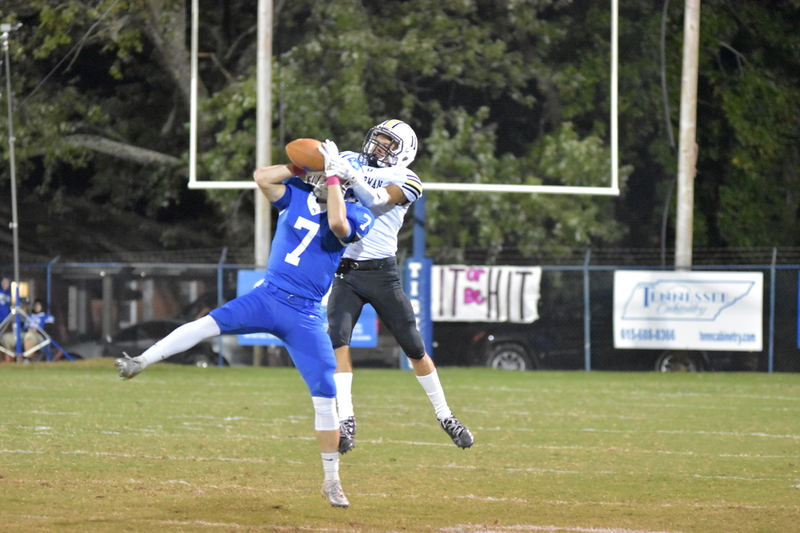 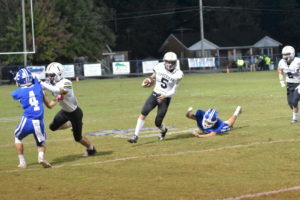 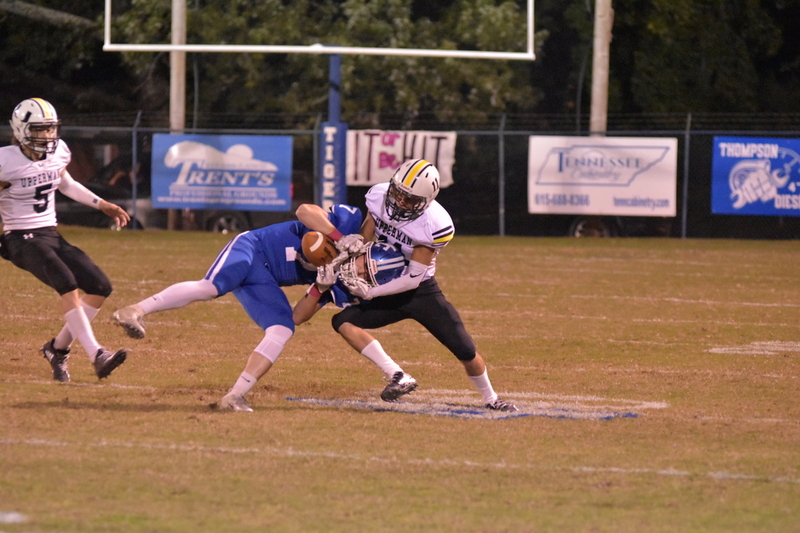 Cole Bush was the workhorse receiving by hauling in five passes for 48 yards. 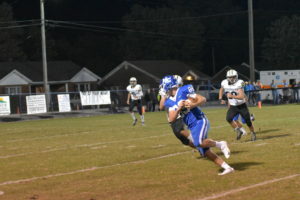 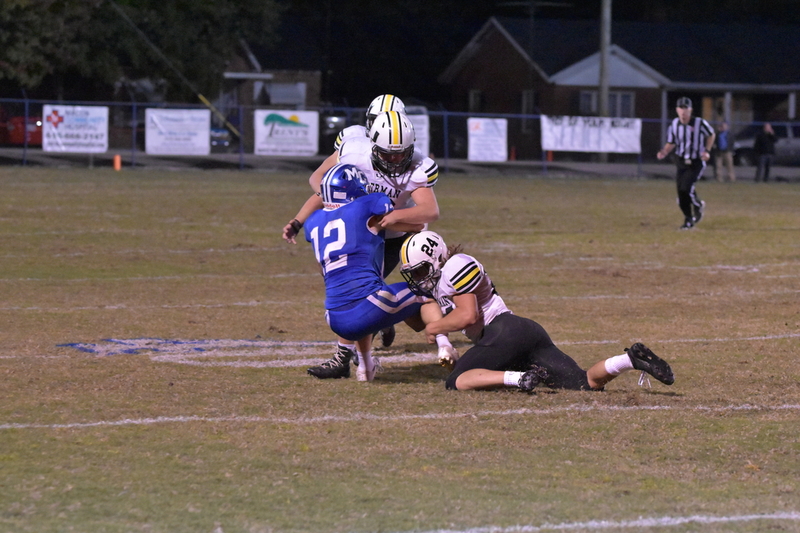 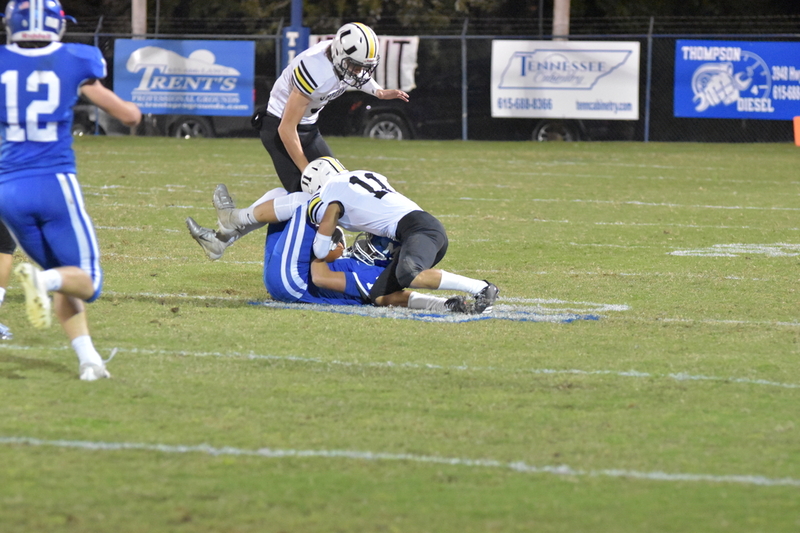 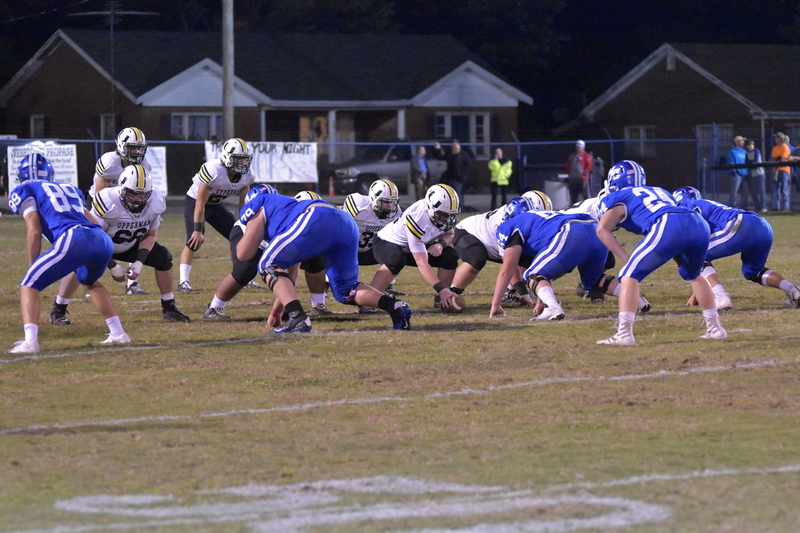 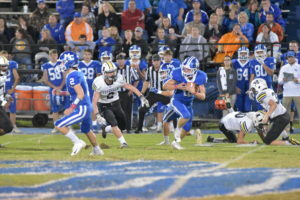 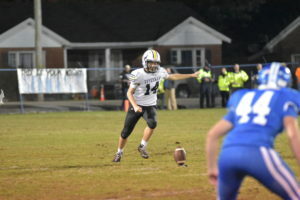 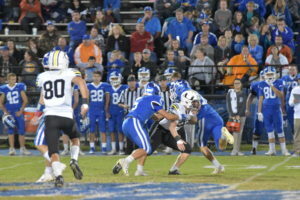 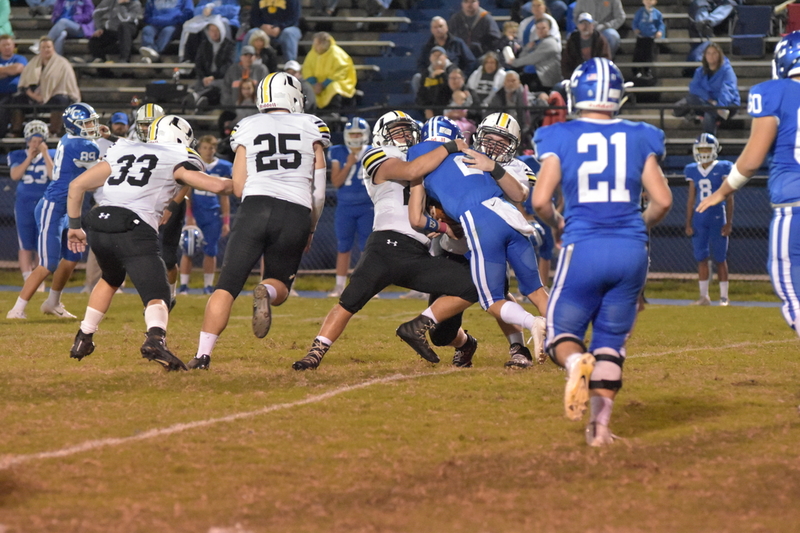 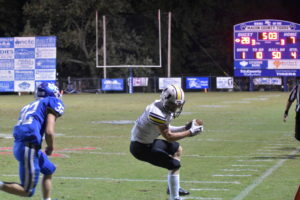 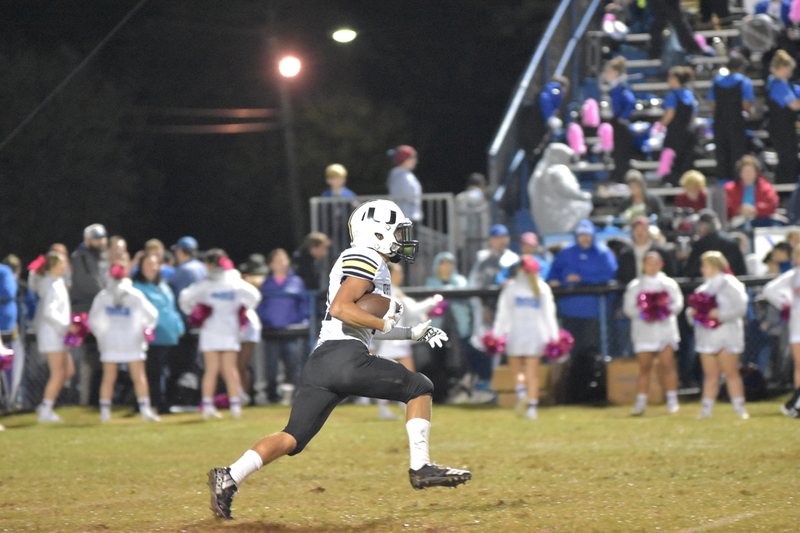 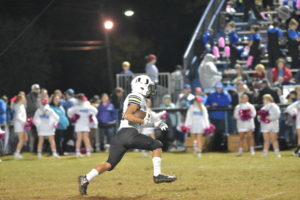 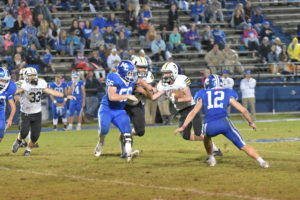 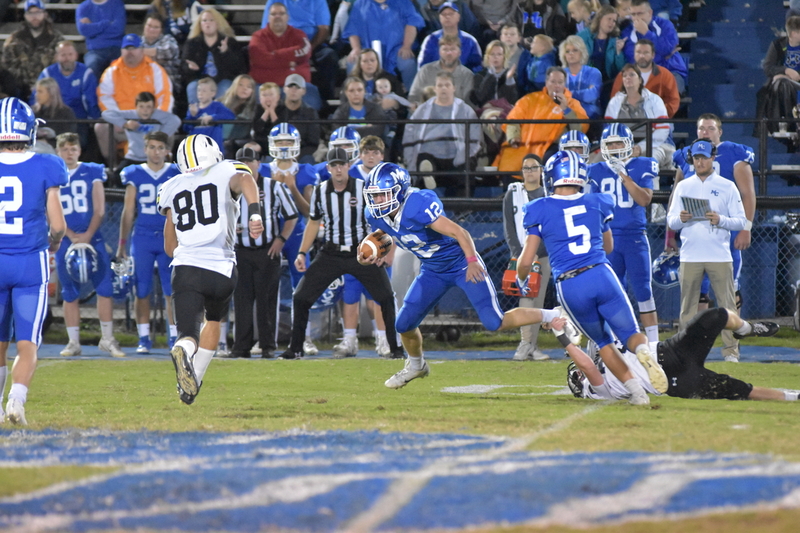 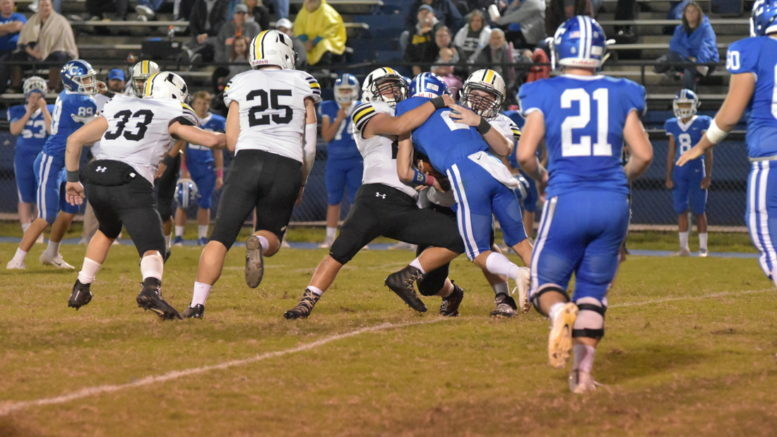 On defense, Duke Maresh, Calen Nash and Zack Stewart slammed the Macon running game with seven tackles/assists and Sidney Brewington, who picked off two passes. 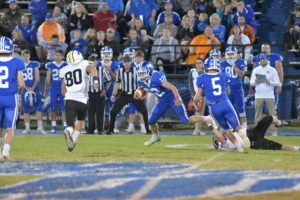 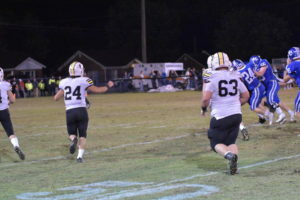 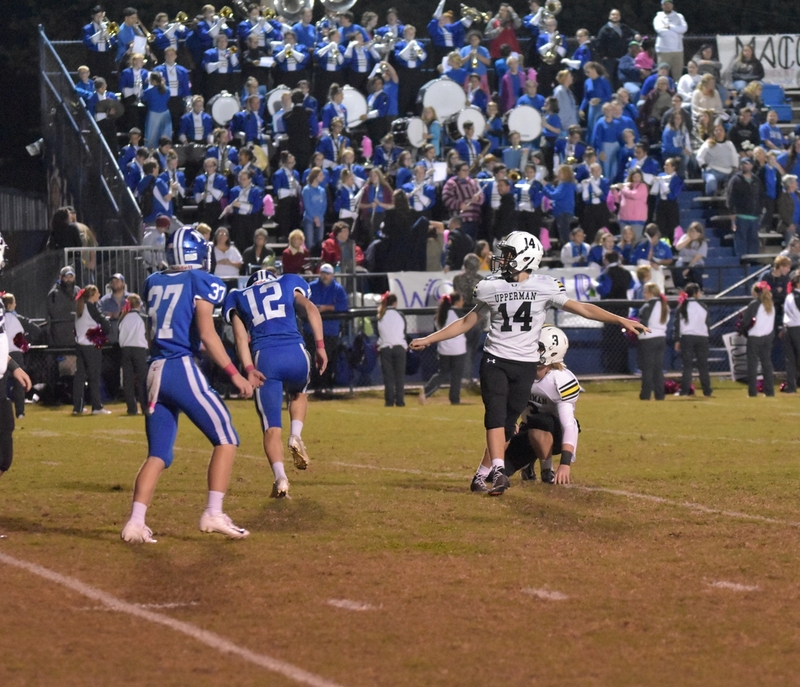 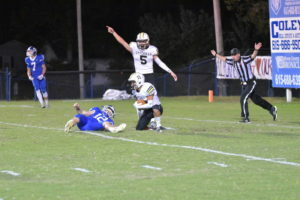 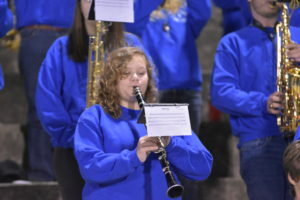 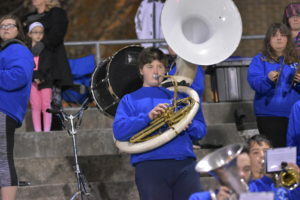 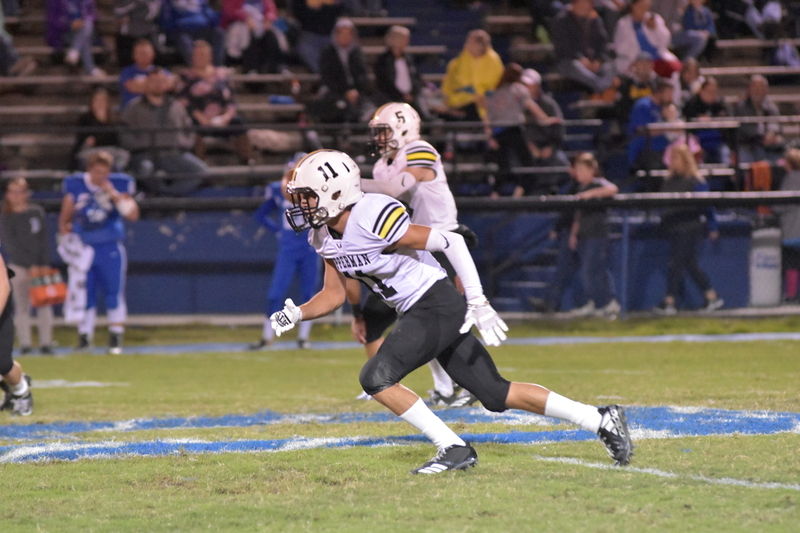 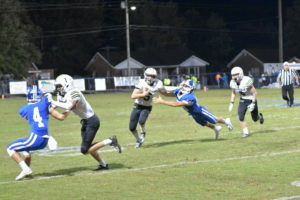 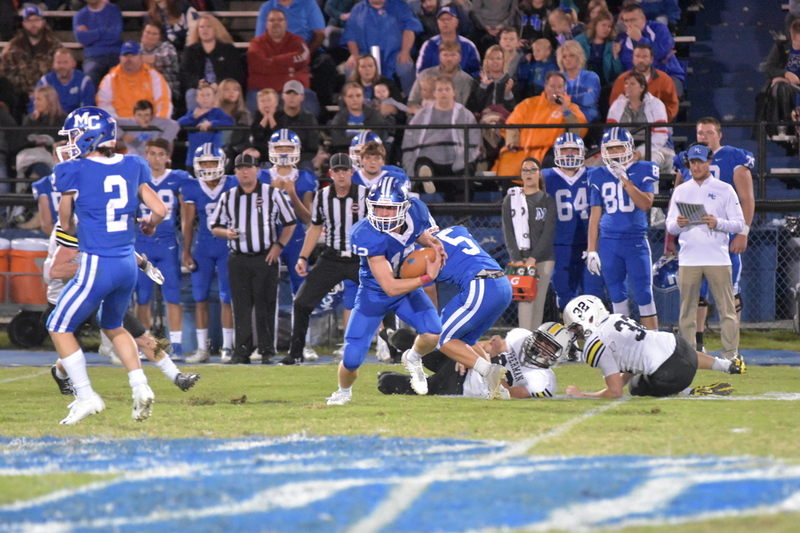 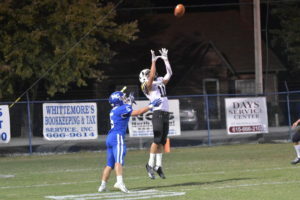 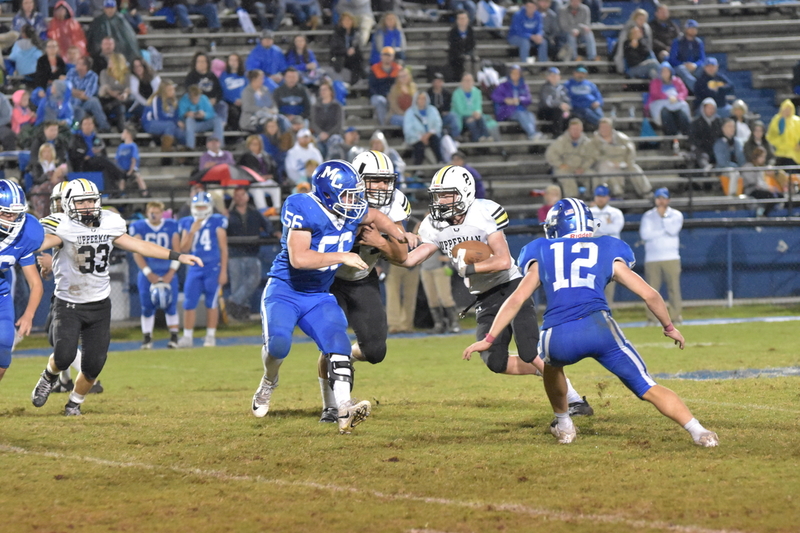 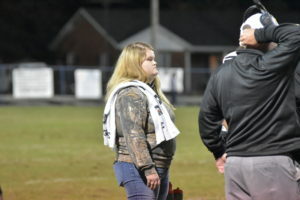 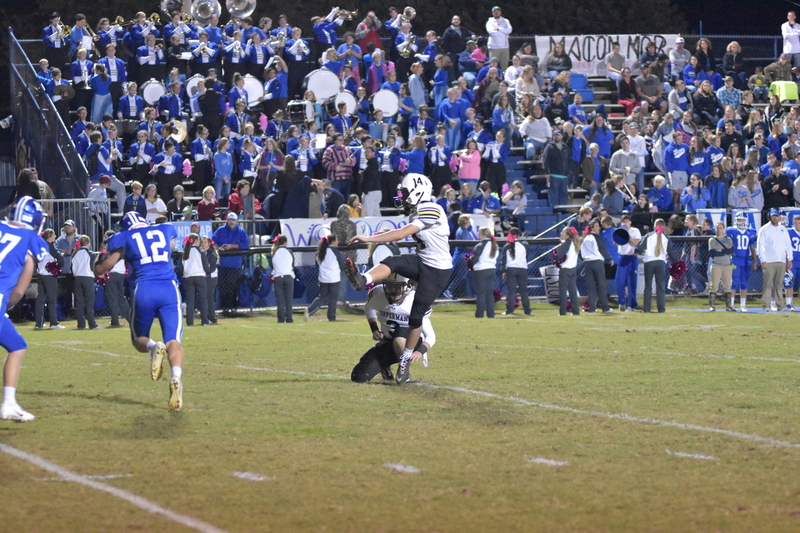 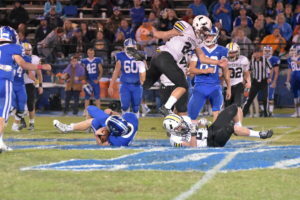 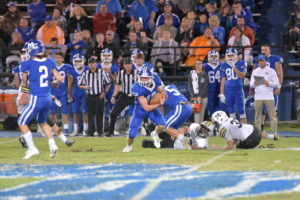 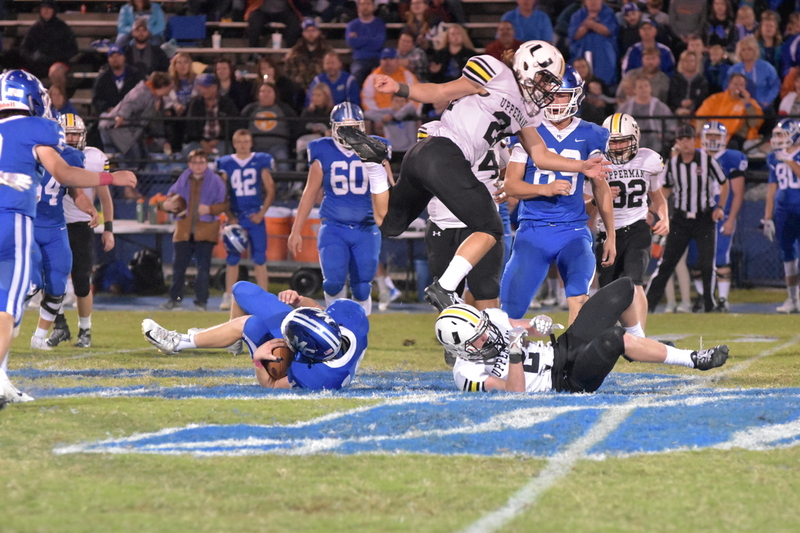 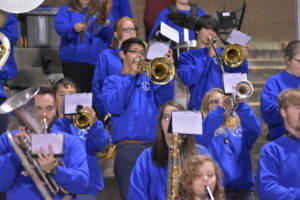 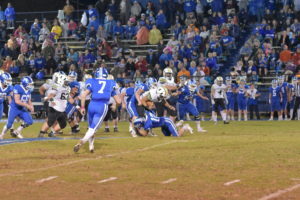 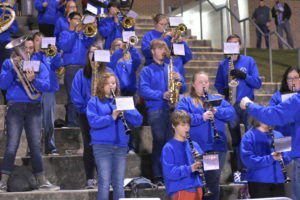 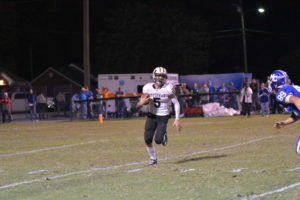 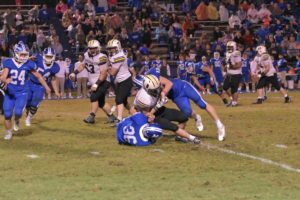 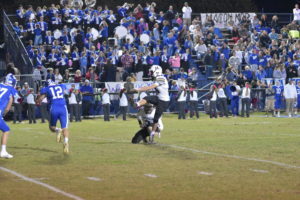 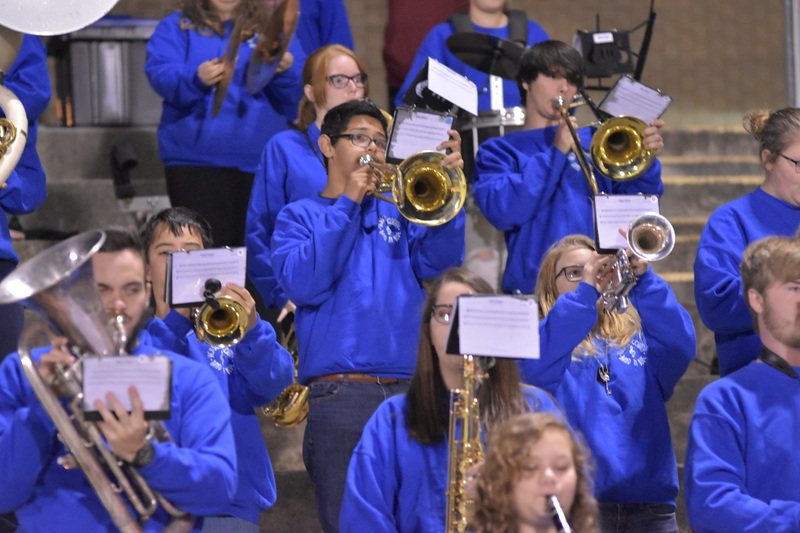 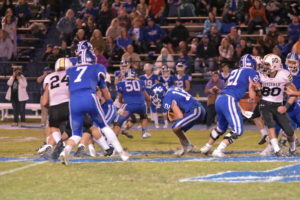 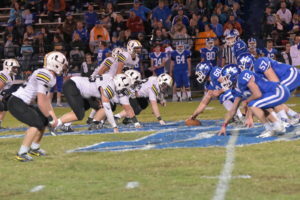 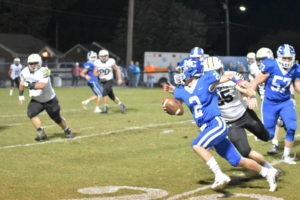 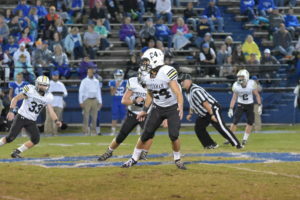 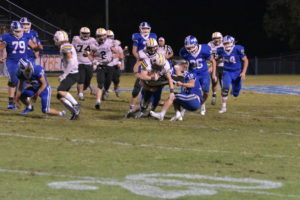 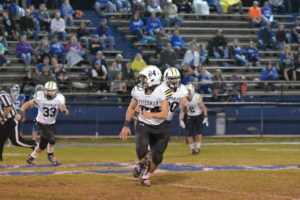 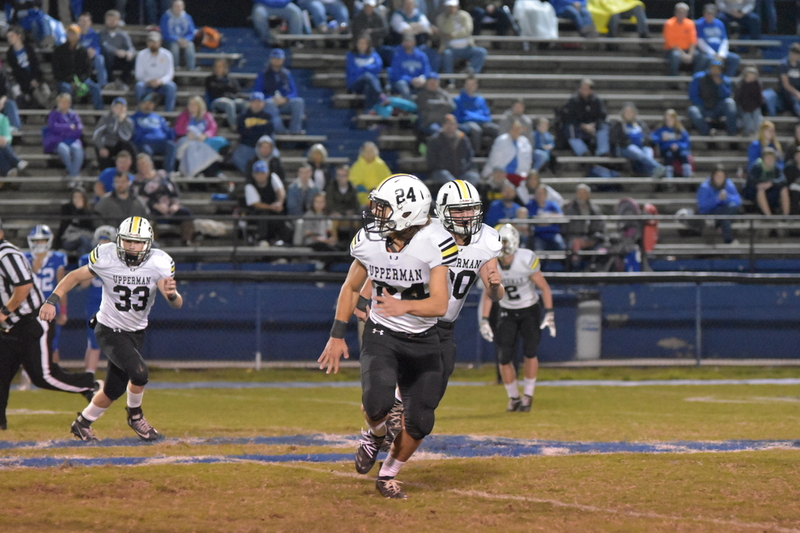 The swarm should be buzzing next week as they take on Sequatchie County on Senior Night.